Movies and TV shows have been predicting the rise of robot intelligence for years. In 2012, the US government finally revealed that the day is here. Militaries around the world have been experimenting with drones since World War I. 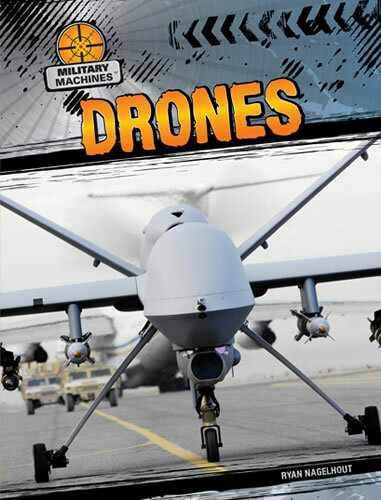 Today, US forces have thousands of drones ready for surveillance and attack. From tiny UGVs to the huge SolarEagle UAV developed in part by Boeing, readers are introduced to the fascinating science and history of drones in the military. Vivid photographs and engaging sidebars add to the detailed information and important ethical questions surrounding drone research. Young engineers and future spies alike will keep turning the pages, captivated by the secrecy and intrigue of these military machines.